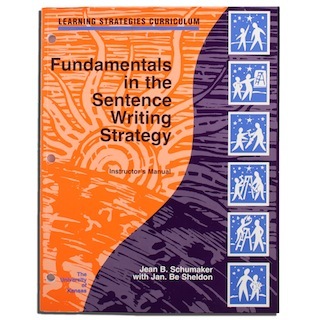 View cart “Main Idea Strategy: Improving Reading Comprehension Through Inferential Thinking (Student Practice Lessons Book)” has been added to your cart. Remember that old saying, “Every Good Boy Does Fine”? This saying has been used for years to help students remember the notes of the treble clef (E, G, B, D, and F) and their order. Technically speaking, phrases or sayings like this are called “mnemonic devices,” which are memory tools that help people remember something. This particular memory tool is called a first-letter mnemonic device because the first letter in each word in the phrase represents something important to be remembered. Such tools come in handy when studying for tests in subject-area classes. Often, these tests require students to learn lists of information or groups of information that must be remembered in a certain order. When they learn to use the FIRST-Letter Mnemonic Strategy, students learn to organize large chunks of information (like the causes of the Civil War or the steps in the Scientific Method) into lists or sequences and then to create five different kinds of mnemonic devices that allow them to recall the information for tests. They also learn to create study cards and to test themselves over the information. 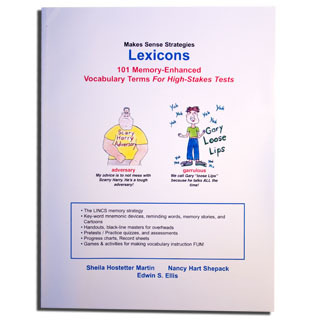 This instructor’s manual contains two sets of practice activities and quizzes: one for creating mnemonic devices and one for organizing and studying information. Research results show that students who were failing tests before learning the strategy earned average scores of “B” on similar tests after learning the strategy. The word “mnemonic” may be hard to say and spell, but learning how to use mnemonic devices is a sure way to end those test-anxiety blues! Remember to order the student practice materials! 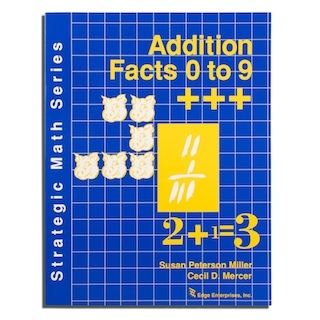 Prerequisites: As a general rule, students targeted for this strategy instruction should be reading at least at the fourth-grade level. This study investigated the effects of instruction in the FIRST-Letter Mnemonic Strategy on students’ performance with regard to remembering lists of information. For example, the steps of the scientific process constitutes a list of information. The FIRST-Letter Mnemonic Strategy involves the use of several first-letter devices including (1) using the first letters of the items in the list to form a word, (2) inserting a letter among the first-letters to form a word, (3) rearranging the letters to form a word, (4) creating a sentence using the first letters of the items in the list as the first letters of words in the sentence, and (5) using combinations of the first four devices. 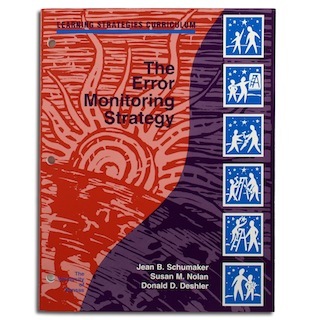 A multiple-baseline across-students design was used, with two students in each repetition of the design. Six students with LD in grades 10 and 11 participated. Two types of tests were given to the students. For the first type of test, which was administered before and after instruction, students were given a piece of paper on which three lists were printed. These lists had been derived from textbooks written at the 5th-grade level, and the tests containing them will hereafter be referred to as “ability-level tests.” Each list had a heading and four items related to the heading listed underneath the heading. Students were given time to study the lists and were told that they would have a test over the information on the next day. On the next day, they took a test with three items on it. Each test question asked them to name the items in one of the lists they had studied (e.g., “Name the four types of spiders”). For the second type of test, which was also administered before and after instruction, students were given a piece of paper with four lists that had been derived from textbooks in the courses the students were currently taking (hereafter referred to as “grade-level tests”). However, the students had not yet had instruction over the information in class. Again, each list had a heading and four items that were related to the heading. The students were given time to study the information, and on the next day, they were asked to take a test over the information. All of the tests required the student to write the answer to each question (i.e., the items used an open-ended format). Thus, students had to know the information and write it on the test versus recognize or guess an answer. The results showed that the students learned to use the strategy quickly, requiring just a few practice trials on each type of first-letter device. During baseline, they earned a mean score of 53% on the ability-level tests and a mean score of 51% on the grade-level tests. After instruction, they earned a mean score of 95% on the ability-level tests and a mean score of 85% on the grade-level tests. This study showed that high school students with LD could master a strategy for studying for tests containing information in list form. After using the strategy, they were able to perform, on average, at the “B” level on the tests that were constructed from information derived from grade-level textbooks. My passion has always been teaching. Even when I was in junior high school, I knew I wanted to be a teacher. I have spent the last thirty years teaching special education students in a variety of settings. After working with at-risk teenagers and students with disabilities, I obtained my bachelor’s degree in emotional and behavior disorders. I have extensive background working with pre-adolescents to adults who have exceptionalities. I have a number of experiences working with students with learning disabilities, emotional disturbance, and behavior disorders. I have worked in schools, adult group homes for the mentally handicapped, residential group homes for adjudicated youth, prisons, and community-based settings. 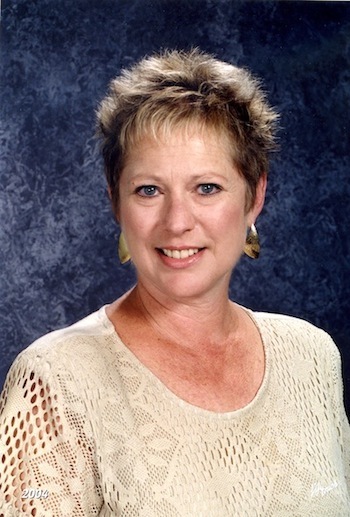 I have trained student teachers and mentored new and experienced teachers in a variety of educational settings. In my earliest experiences with exceptional students, I realized that these students experienced many learning difficulties and needed strategies to facilitate their learning. I enrolled as a graduate student at the University of Kansas and met with Don Deshler, Gordon Alley, and Jean Schumaker who founded the Institute for Research in Learning Disabilities (currently known as the Center for Research on Learning). Based on my teaching experience, I knew I wanted to help secondary students retain information and enhance their learning skills. (The idea of looking at learning disabilities in adolescents was unique at that time.) These professors were developing research-based strategies to help secondary learners approach learning problems more productively and effectively, and they were creating a curriculum for the Strategic Instruction Model (SIM). Thus, we brainstormed what students really needed to know to be academically successful. We knew that in order for secondary students to be successful, they needed to be able to retain large amounts of information and demonstrate that they knew that information on tests. We conceptualized a mnemonic strategy that would provide students an organized way of independently approaching large bodies of information that needed to be mastered. After a few trials and errors, the FIRST-Letter Mnemonic Strategy was born! It was designed to help students identify lists of information, generate appropriate titles and labels for lists, select a mnemonic device for list items, and master the information in each list. Students can use this strategy effectively to learn a wide variety of information in different subject areas and dramatically improve their test scores. Additionally, this strategy can be effectively used to facilitate the mastery and recall of information in settings other than academically oriented classrooms. 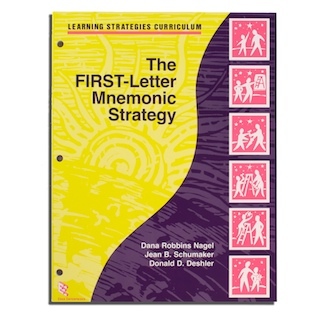 The FIRST-Letter Mnemonic Strategy can be taught to different populations and in different settings. This strategy enables individuals to utilize skills to master information that is being taught and to do this on their own. When students use the skills they have learned in a strategic manner, using the steps designed, they become independent learners. I have seen students master all parts of this strategy and generalize these skills to a variety of situations. Many teachers and students have told me that this is a really fun strategy to teach and to learn. They have expressed that they are able to be creative, and they have a blast making up funny, but memorable, mnemonic devices. Students report that they are encouraged by the positive results they get when taking tests and using the strategy in authentic and practical situations.